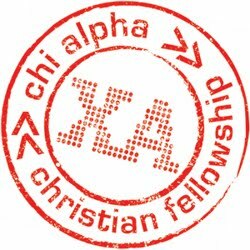 BKChiAlpha: What's going on under the surface? What's going on under the surface? I talked with one student, who I won't name here. After a while he had finally let me in and shared that he'd been struggling with balancing school work and God. He didn't feel like he had the time to excel in both, but that whichever one he chose over the other he felt guilty. If he chose God, he felt like he was squandering the gift of intellect and the gift of being at Stanford that God had given him. If he chose school, he felt like he was less of a Christian, or doing the "less important" things for God. I got the chance to pray with this young man and I simply asked him what he believed God had for him in his future. He said he really wanted to make a difference in the market and work place where God would put him as an engineer. So I encouraged him to, get to that, and to gain the best voice possible in that place, he should use this time of preparation to its fullness and it would be worship to God. Also, he should set aside a certain amount of time with God every day that seemed reasonable to just spend with God and that if he is really that busy, God would understand and even see him setting apart that time as worship. Finally, I encouraged him that there is no condemnation in Christ Jesus. There are also seasons in life, and this is one where studies are important and intense. If his relationship with God went completely to the wind, that would be a problem, but I assured him, based on the questions he was asking, it was far from that. Also, there will be different seasons with different amounts of expendable time, though we still always have to make the decision each day to choose God as there will always be things warring for our time. I have spent most of the first month on the Stanford campus just trying to understand the ethos of a Stanford student. As I have talked with students like this friend, m they have shared this metaphor with me about a Stanford student being like a duck swimming on water. If all you can see is the duck above the surface, the duck seems calm and serene. It appears to float effortlessly wherever it goes with what appears to be no motion or work at all. If you get a glimpse of what is going on below the surface, however (like the video below), you see that the duck is constantly working hard to get where it is going, it just isn't as apparent to everyone else. In fact, you'll notice it even has to continue to work if it wants to stay the same place,otherwise it gets carried away with the current in a direction it doesn't want to go. This metaphor has rung true as I have continued to meet and learn the stories of more and more students. Stanford, as you are just hanging out around campus, at the student union, or outside of the library, appears to be a very chill place. It definitely has the west coast vibe all my classmates in the PhD program tell me I have being from California. No one really dresses up, many of the professors even dress up less. As you hear the stories of what is going on in their lives, however, you learn that inside, they are hurting. They are struggling to survive. They feel inadequate in an environment where every one else is beyond competent (even though everyone feels that way about everyone else). As I was sharing my observations with my ministry mentor at Stanford, he shared that he thinks the metaphor is very true, but that he sees it more like water polo. Water Polo captures the atmosphere of competition, often cutthroat, that is in play everywhere and all the times whether you want it to be or not. You can even observe it among Christians at times who (probably unconsciously) compare their spiritual effectiveness or fervency to others. Stanford students always seem like they have it all together. All that means is that when they do crash, they crash from a higher place, and they crash harder. Luckily the student I was meeting with has already been asking the right questions and making sure he has been attending to his soul as well as his mind.